At Gan Direct, we truly believe that our people are our best resource: our greatest asset in providing the excellent service our customers are accustomed to enjoy and expect. That’s why we have always sought for people who want to contribute to our success and to the betterment of the environment in which we all work. Gan Direct maintains an in-house Academy, placing focus on employees and acknowledging the importance of its staff in offering customers the best of services and solutions. Employees have access to personal coaching, seminars and educational material for insurance and customer relation topics in order to constantly improve their knowledge and skills. We constantly seek to create a better future across a range of socially relevant fields. With this in mind, Gan has created an Apprentice Programme. The mission of the program is for participants to gain important experience and education in an environment of continuous learning. Professional and personal development, while workings and studying. Gan offers people the opportunity to gain qualifications and get paid as they train. Gan’s corporate philosophy is to undertake an active role, focusing on initiatives that improve living conditions of our everyday life and contributing to world social welfare. Gan Direct Insurance is seeking to recruit Customer Service Advisors in Nicosia. Gan Direct Insurance is seeking to recruit Customer Service Advisors in Paphos. Gan Direct Insurance is seeking to recruit Customer Service Advisors in Paralimni. Gan Direct Insurance is seeking to recruit Reception Assistants in Limassol. Gan Direct Insurance is seeking to recruit Customer Service Advisors in Larnaca. 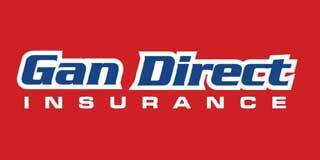 Gan Direct Insurance is seeking to recruit Customer Service Advisors in Limassol.